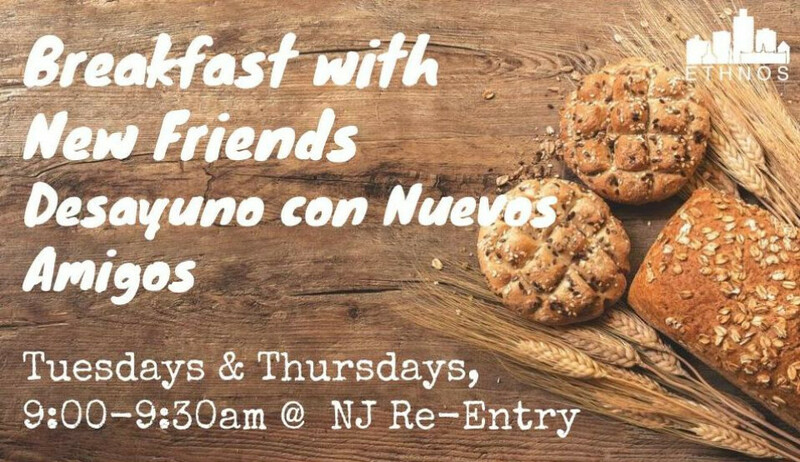 Join us as we have breakfast and build friendships with those who are re-entering our community. Coming back into community can be difficult; let's surround those in our city with the love and support they need! For more, contact Reggie at ‭(908) 603-9761‬.